Almost exactly two years ago today in 2014, Apple shocked the watch and consumer electronics worlds when they announced the Apple Watch. Not calling it a smartwatch, but rather just the Apple “Watch,” now two years later in 2016 we are with Apple in San Francisco for the launch of the Apple Watch 2 (Apple Watch Series 2, S2). Much has changed in the smartwatch world over the last two years, but from an overall quality and functionality perspective the Apple Watch is still crowned king, even though plenty of new products have been released in the meantime. First, let us take a quick look at the last two years of the Apple Watch and then move on to discussing the brand new release. Competition from both Google Android Wear-based products and Samsung with its Gear family of Linux-powered Tizen operating system-based watches are offering increasingly exciting, albeit different products to that of the Apple Watch. Also during this time, we’ve seen a number of traditional watch companies attempt to get into the smartwatch (or smart wearable device) market with mixed outcomes. Apple Watch Series 2 now with a white ceramic case option. Many of these products (such as from IWC, Montblanc, and Victorinox Swiss Army) never really came to fruition, which was a disappointing turn of events for many brand fans – and perhaps a relief for some others. 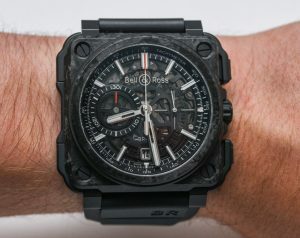 Among the relatively few smartwatch success stories from the traditional watch industry was the TAG Heuer Connected as well as the Casio WSD-F10, and the niche-appeal Breitling Exospace B55 Connected. Still, other brands didn’t even try to fight against Apple Watch June but rather integrate them, as German Sinn did with this “double watch” strap meant to hold both an Apple Watch and a traditional watch. 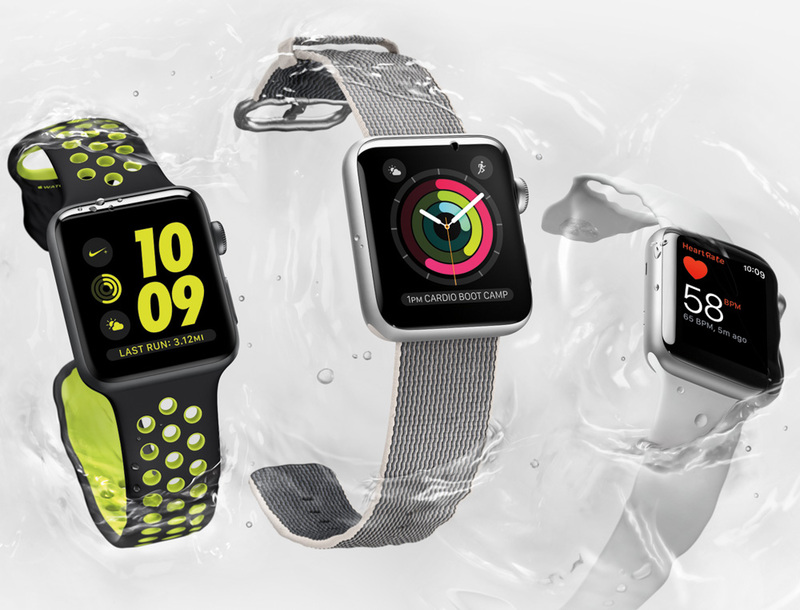 In addition to a relatively rapid evolution of smartwatches and the industry thereof, the last two years since the introduction of the first Apple Watch has been less than pleasant for the traditional watch industry. 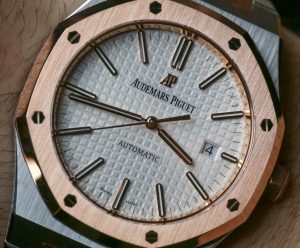 Factors such as bloated pricing policies and a reliance on a flawed (as well as archaic) wholesale product distribution system has much of the luxury watch industry on its knees. 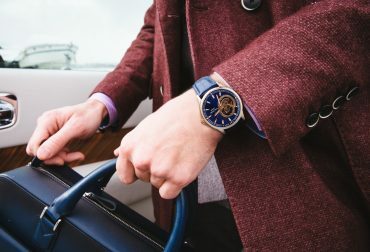 With that noted, we’ll still say that smartwatches have unfairly been blamed for the economic downturn in the luxury watch world, even though I’ve argued on many occasions that while smartwatches in the long term will spell disaster for many under-$1,000 watches, it will only be a boon for the luxury side in the long term. Speaking of luxury, Apple has more or less retained a top spot not only in smartwatches but also in high-end smartwatches with its Apple Watch models in finely-made steel cases with sapphire crystals and ceramic components… even though I believe most models sold are the Apple Watch Sport versions which have aluminum cases and lack materials such as sapphire crystal and ceramic. So even though the Apple Watch has aged respectably, it is time for a new one. 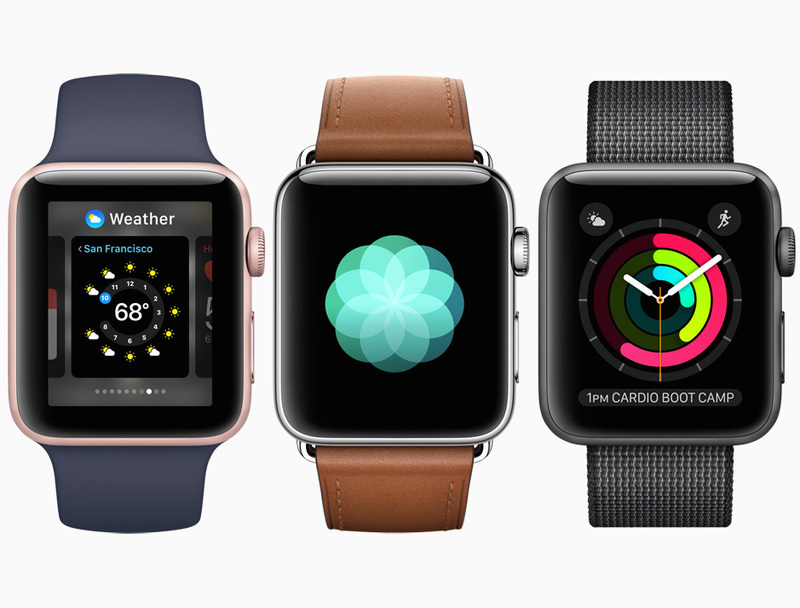 It wasn’t until April 2015 that Apple K Watch began shipping the Apple Watch, and since then, aBlogtoWatch has written about it prolifically. Our Apple Watch coverage has included so far a collection of reviews, a unique focus on the 18k gold Apple Watch Edition, and a discussion of new products and accessories. The most recent “big news” from Apple in regard to the Apple Watch came in June 2016 when they announced the upcoming Apple WatchOS 3, which was to be officially released today with the Apple Watch 2, as the latest and greatest operating system for the Watch, promising better performance and additional tools. Currently, I believe that the primary users are those looking for health and fitness monitoring, active lifestyle enthusiasts, and people who use the heart rate sensor regularly. Then you also have the large population of people who would consider themselves regular travelers, who probably prefer the always accurate and “in the right time zone” features of the Apple Watch. While Apple (and other smartwatch makers) hasn’t truly gained wide-stream adoption of their wearable connected devices, I think that they are off to the best start – so much so that their efforts in legitimizing the role of smartwatches in the eye of the mainstream public is having positive effect for all smartwatches. According to Tim Cook from Apple, the Apple Watch is the second best grossing watch on the planet, putting it right under Rolex and right above the Fossil Group – and that is a huge deal. Yes, according to 2015 “worldwide watch sales,” Apple now beat Michael Kors (Fossil Group) and is aiming directly at “the crown” (Rolex) in terms of volume and revenue. Cook also commented on the fact that many people have learned to rely on notifications delivered from the Apple Watch and that Apple Pay is another major source of use for the popular smartwatch device. Of course, Apple is quick to point out the fact that the Apple Watch continues to be the number-one-selling smartwatch on the planet. …But let’s return to the current announcement of today which is the newly updated Apple Watches Types Watch Series 2. 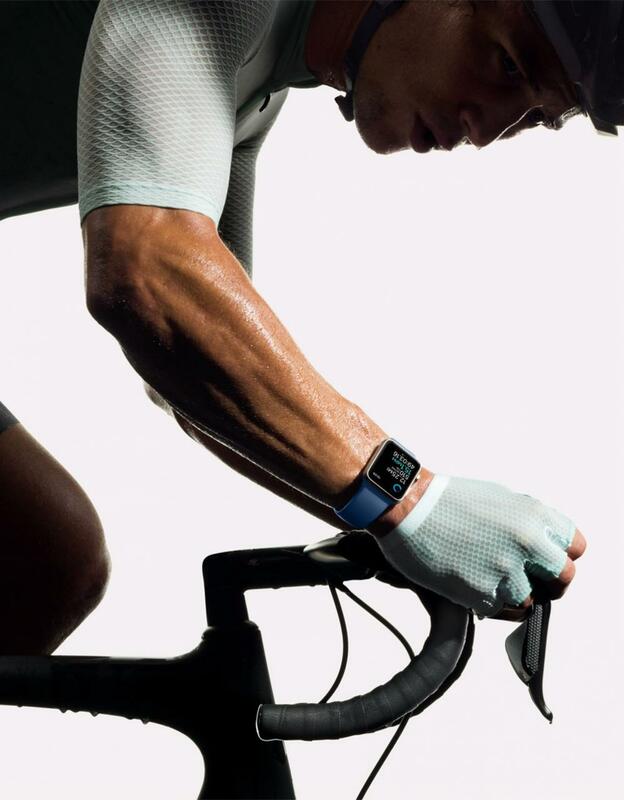 A new Apple Watch is here that adds subtle but important new features such as water resistance, new fitness tracking features, and more battery life. 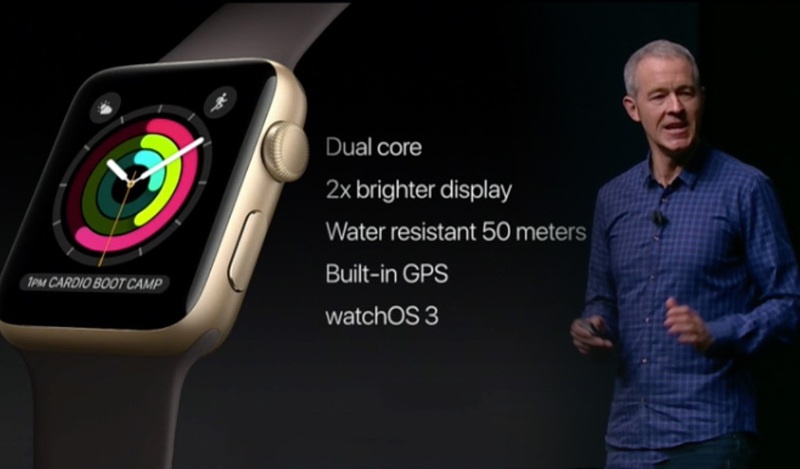 Apple says that the Apple Watch Series 2 is “swim proof” which means it is water-resistant to 50 meters. This is a major improvement over the “splash proof” rating of the original Apple Watch. Part of this was re-engineering the speaker to have a water resistant membrane. 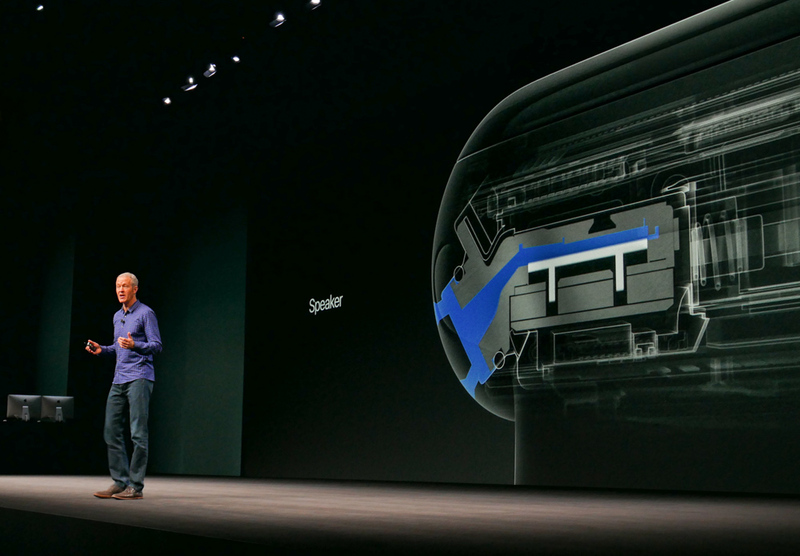 According to Apple, the most sensitive area of the Apple Watch Qi Watch in terms of water penetration was the speaker (which makes sense). So in the Apple Watch Series 2 the speaker actually ejects a bit of water after being under water so as to be functional again. Pretty cool and smart when it comes to creating a much improved water-resistance experience. 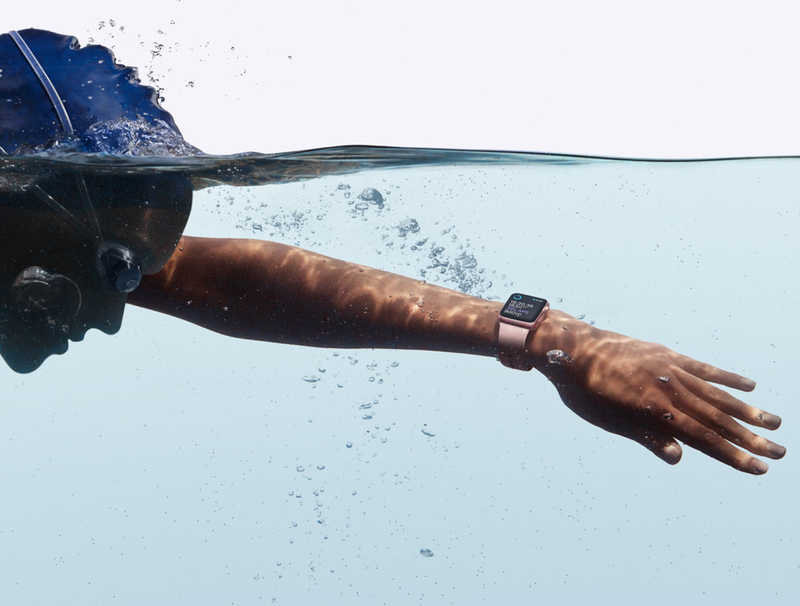 Apple also includes new fitness metrics and durability tests such as for swimming, and claims that the watch will now learn about its owner. Fitness and gaming? Apple Watch OS3 includes a number of interesting updates including an emergency SOS call feature as well as new watch faces and an app that reminds you to meditate (breathing). Steve Jobs was known to be a meditation enthusiast – and those that know this fact may see this feature as the spirit of him in the device (even though some experts disagree exactly what Steve Jobs would have said about the Apple Watch – as he personally wasn’t a watch guy…). What is the Pokemon Go effect on the Apple Watches Sprint Watch? Well, Pokemon Go is now a popular mobile game that you can play on the Apple Watch with a new dedicated app. I wouldn’t exactly call it an exciting productivity tool, but for many people Pokemon Go is their activity app, so if you need to gamify strolling around, Pokemon Go on the Apple Watch should be useful and exciting for you. The Apple Watches Best Watch Series 2 features a brand-new dual core processor which is claimed to be twice as fast as the original Apple Watch processor. They call it the S2 chip and it runs apps and games much better than before. Such a performance increase will make a noticeable, and in fact widely anticipated improvement in user experience through more fluid animations and better app performance. One thousand nits. That is the brightness rating of the new screen in the Apple Watch S2, which, according to Apple, is the brightest screen that they have ever produced for a device. This should be a great help in ensuring that the screen is easy to view in even the brightest direct sunlight environment. Apple also now includes a built-in GPS module in the Apple Watches Hsn Watch Series 2. This is similar to some other smartwatches that will be on the market soon. This increases independence from a host phone device, which many users have been asking for. This is a good step in the direction of producing an Apple Watch that is 100% independent from a necessary host device. 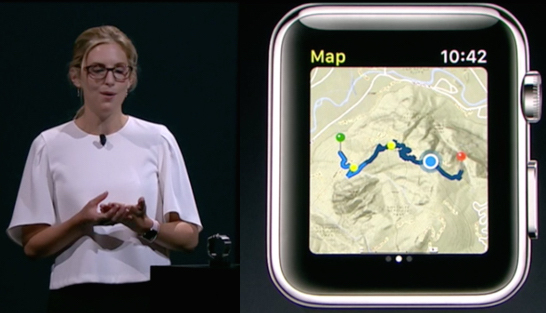 The Series 2 Apple Watch will use the GPS for both running/jogging applications as well as hiking. Of course, with GPS, developers will have a lot of fun thinking of new uses for the Apple Watch Series 2. I’m very happy that Apple 1 Watch Release Date now offers the Apple Watch in all ceramic. 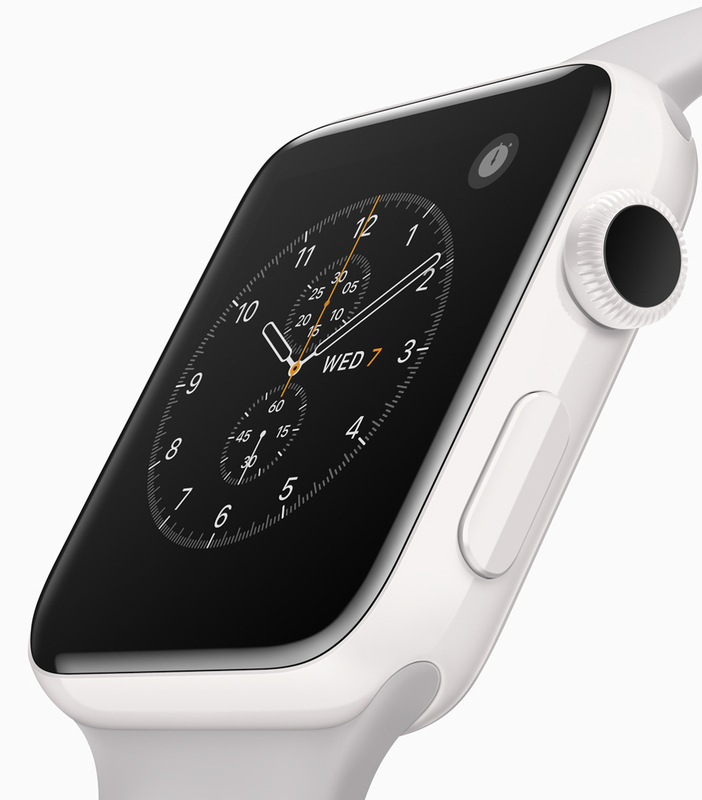 Previously, ceramic was used on the rear of the Apple Watch and Apple Watch Edition. Now an all-white version of the Apple Watch in super-hard, super scratch-resistant ceramic will be available. The Loop was impressed with the “amazing” sound, CNET had complaints about limited battery life, and also The Independent stated the processor was “lightning-fast. “Apple hasn’t altered the design of this Apple Watch Kuwait Watch since its 2015 introduction, and thus that the Apple Watch Series 3 is almost equal to the Apple Watch Series 2. It features a rounded, rectangular body that’s equipped to snap into an array of interchangeable bands thanks to built-in lugs. In the front, there’s a small Retina HD touchscreen display, and at the side, there’s a Digital Crown which can be used to control a lot of the interface and a side button which brings up a program dock. About the Apple Watch Series 3 models equipped with LTE, this Digital Crown is red. Apple Watch Series 3 comes in two dimensions, 38mm and 42mm, to fit a variety of different wrists, and Apple also makes it accessible in a number of different casing materials including aluminum, stainless steel, and ceramictiles You will find two new casing options for 2017: aluminium in a fresh shade of gold that’s a bit rosier than the prior gold color and ceramic in a deep grey to accompany the existing white porcelain model.At the bottom of this Apple Watch, there is a ceramic backing with four built in sapphire-covered sensors that measure heart rate using green light technology that tracks the speed of blood flow underneath the epidermis. About the Apple Watch Series 3 models, the only external distinction is related to the ceramic backing and the detectors. The rear crystal that houses the sensors was extended by 0.25mm to generate room for additional cellular components. Most users are unlikely to observe the small size difference compared to Series 1 and Series 2 models. Today, A Apple Watch Price introduced the new iPhone 7 and iPhone 7 Plus – which it dedicated much of the Keynote presentation to, given how important the smartphone device is to the company. 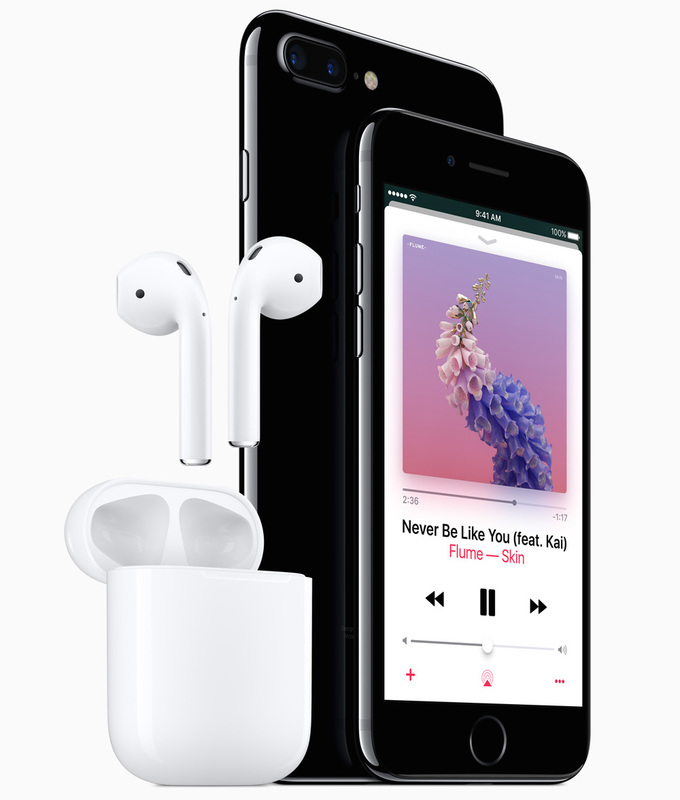 Of course, the iPhone 7 will be the ideal companion to the Apple Watch Series 2, but so will the new Apple Air Pods wireless headphones which use a new W1 chip for a reported far superior listening (and talking) experience with the iPhone as well as directly with the Apple Watch Series 1 and Series 2. 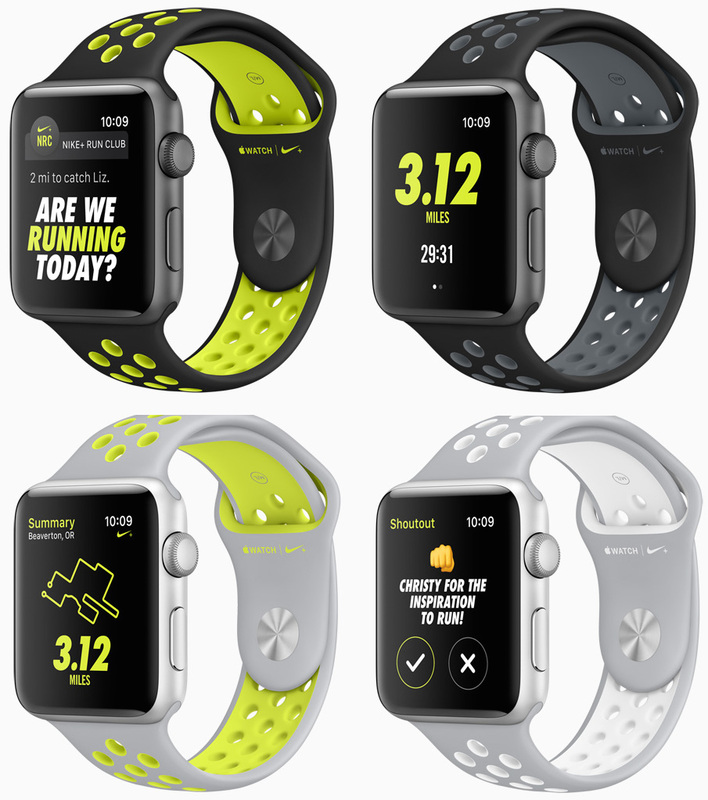 Apple further debuted a dedicated Nike version of the Apple Watch S2 in black and yellow (actually, it comes in four color styles) that has a unique perforated strap and is meant to focus on people who use the Apple Watch Series 2 for running and other fitness needs. They call it the Apple Watch Nike Plus. Nike says that they worked with Apple to make it the most easy-to-use and simple running fitness device ever. 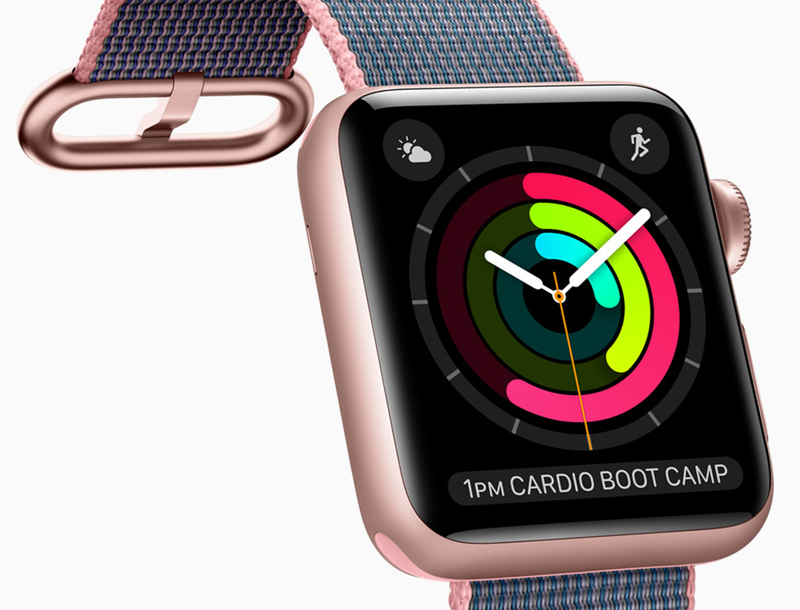 The device also adds a social/community element to the Apple Watch Nike Plus which is meant to help encourage people to be more active and to add some friendly competition to people’s running workout regimens. 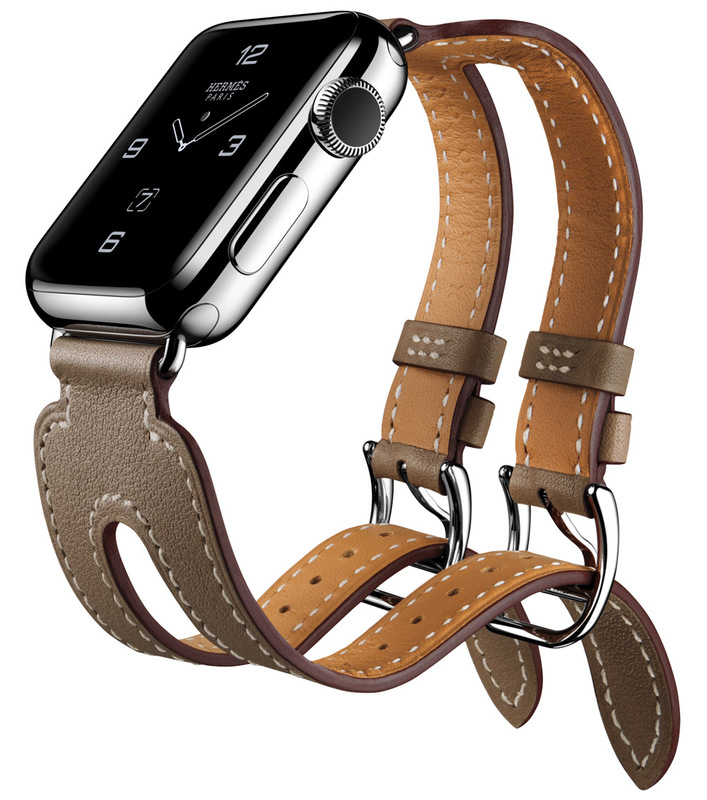 Apple briefly mentioned their continued partnership with Hermes in the Apple Watch Series 2. There will be two new Hermes straps for the Apple Watch 2. One obvious thing to mention is that even though the Apple Watch S2 is new hardware, it is designed to keep working will all the existing Apple Watch straps that are out there. That is good news for people who were afraid that they would need buy new straps or accessories for the Apple Watch. Interestingly enough, Apple is not immediately discontinuing the original Apple Watch – that they are now calling the Apple Watch Series 1. However, Apple will be upgrading the Apple Watch Series 1 with the same new dual core processor that the S2 is getting. The Apple Watch Series 1 (the Sport model) will have a new starting price of just $269. There has been no mention yet of the pricing for the fuller range of existing Apple Watch Series 1 products.